I am lucky enough to live in New England (remind me that I said that in January, February and March). Every year in June we go on a field trip to the beach. It is a blast! 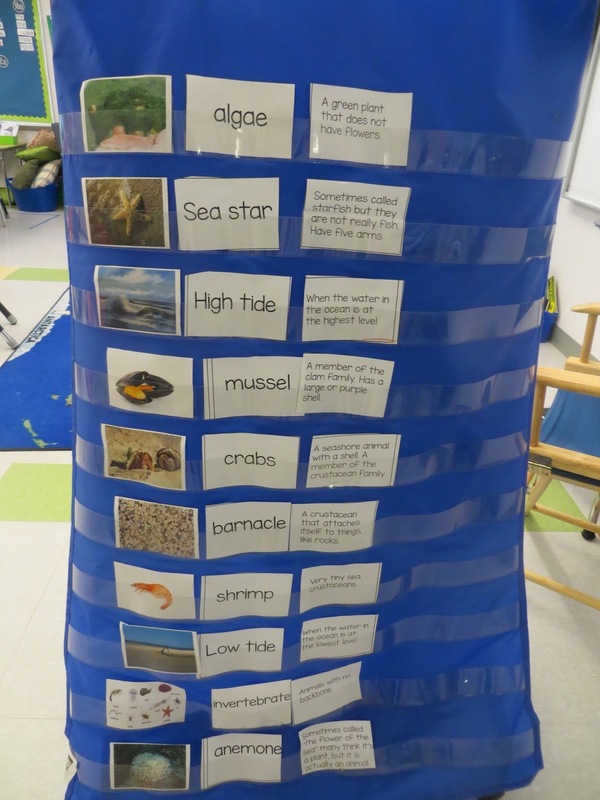 Right after Memorial Day we begin learning about tide pool habitats. We made an anchor chart to depict what we know about tide pools. I did not correct any thoughts. This was just a brainstorm. At the end of our unit, we go back to this anchor chart and cross out any misconceptions after our discussions. 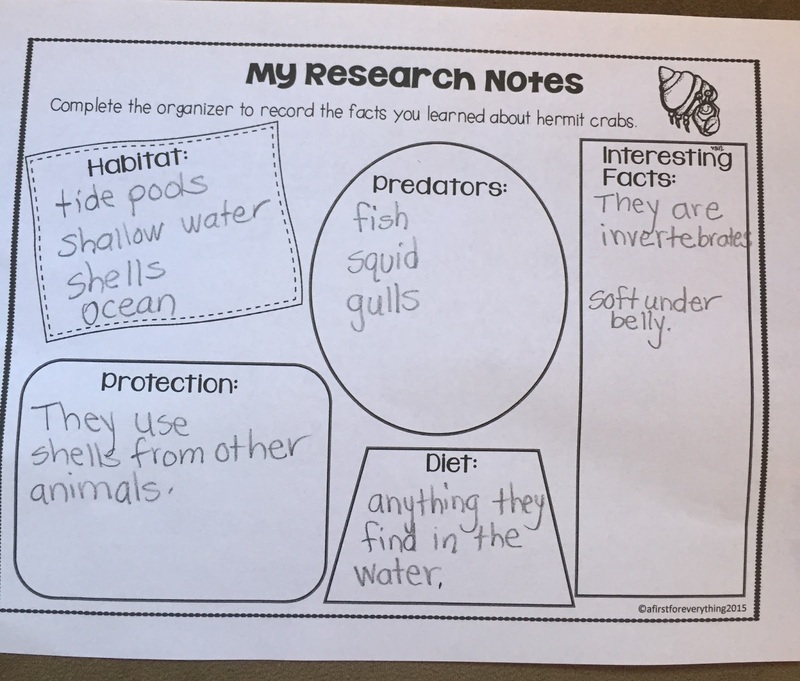 We really enjoyed some close reads on various tide pool animals such as sea urchins, hermit crabs, sea anemones, sea stars, barnacles, and mussels. We sorted tide pool vocabulary words from our close reads. We identified the word, found the matching picture and corresponding definition. We researched tide pool animals using our close reads, iPads, and non-fiction texts. Then using the facts we researched and recorded, we wrote informative writing pieces about a tide pool animal. 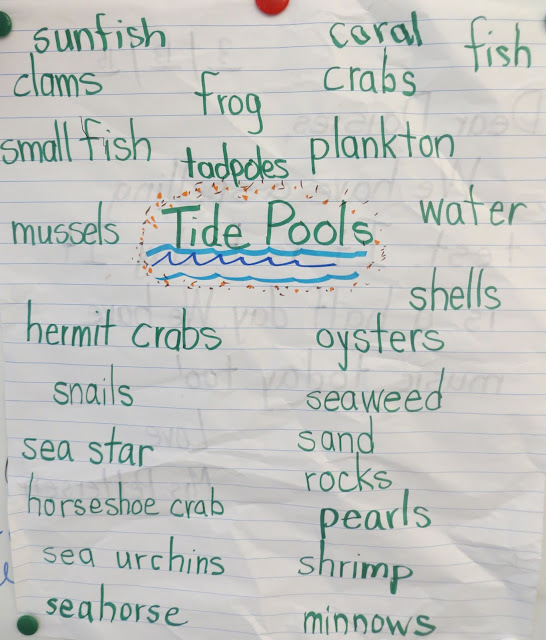 We learned that some types of tide pool animals have shells that open and close to feed and protect themselves, and even help them move. These animals are called bivalves. 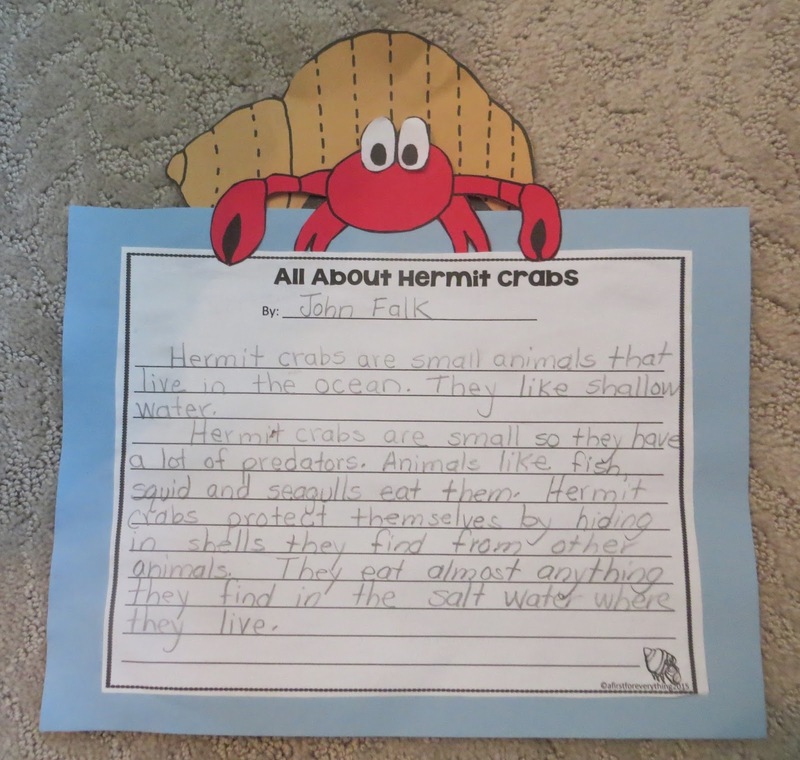 We made a bivalve mini book to share the facts we have learned about tide pools. By the time we went to the beach, we knew so much about tide pool habitats and we loved showing our teacher all the cool animals we found! 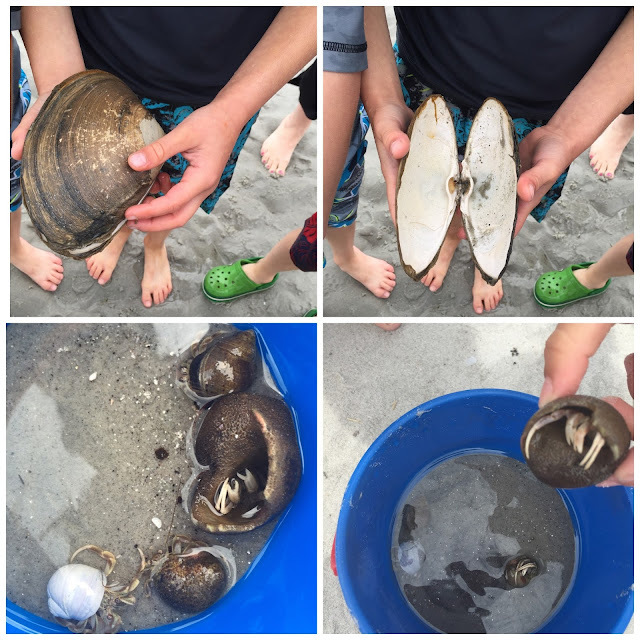 We found hermit crabs, bivalves, and snails. 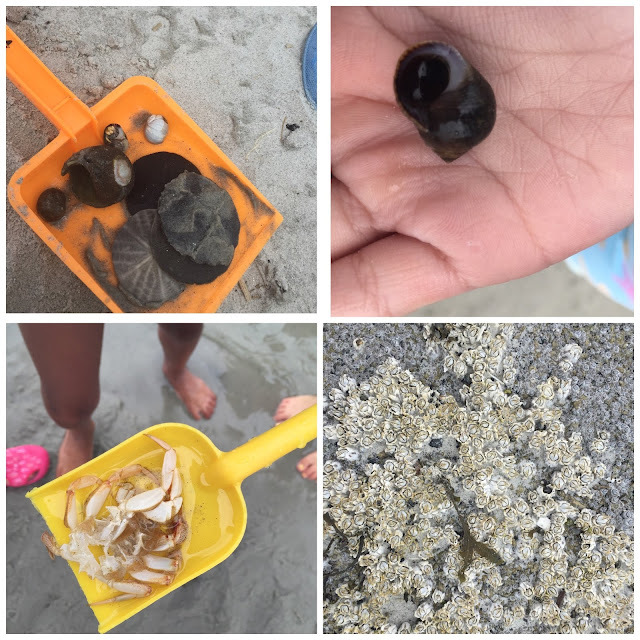 And we found barnacles, sand dollars, and mussels. There were shrieks of delight echoing across the beach. When we returned our learning continued with some great YouTube videos all about tide pools and tide pool animals. The YouTube video below is the full episode of "Mussel Beach" from Magic School Bus. It's fantastic! The video below is silent (except for ocean sounds) but has wonderfully up close video footage of tide pool animals. It makes for a great discussion piece and learning tool. To find the tide pool resources seen here, click the picture below. I hope you have a wonderful summer! Do you have tide pools where you live? I'd love to hear about them! It would be great to share that information with my students too. I LOVE your comments!